Let’s all agree to disagree. The promotion system is one of the most frustrating aspects of League of Legends. Imagine this scenario: You’ve just won eight-straight ranked games to get to your promos. It looks like you’re finally going to reach Plat I. You’re feeling confident and raring to go. Twenty-five painstaking minutes later, you’ve lost your first game. “It’s fine,” you assure yourself. You haven’t failed your promos just yet. You can still bounce back. Forty-five minutes later, you’re back to square one. In fact, you’re worse off than square one—you’re sitting at a measly 65 LP. You’ve just wasted hours upon hours of play time, and you feel like you’ve been duped by the system. It doesn’t feel fair. The system isn’t transparent enough. It feels far too inconspicuous and it’s not just promos either. It’s the demotion shield. There’s a reason why Riot removed the fifth division. It was full of players who didn’t rightly deserve to be there. Is there a 50/50 chance of winning, though? It certainly doesn’t feel that way (at least in promos). It feels like you’re constantly picking the short straw and it’s frustrating, to say the least. The promotion system feels unnecessary. It’s counterproductive and it only further draws out the ranking process—making for a thoroughly time-consuming experience. It’s anti-fun and it’s unhealthy for the growth of the game. Maybe it should be removed. It’s not going to be an easy task removing promos. It would require a complete reform of the ranking system—but it shouldn’t be out of the question. The ranking system sometimes feels flawed. Climbing the ladder—no matter your skill—is a long and arduous task. Even if you’re winning game after game, it still takes a considerable amount of time. It’s especially difficult to be a casual player. You have to sink thousands of hours to get anywhere, and that’s not always possible. If promos and the demotion shield were removed altogether, it would somewhat negate the struggles of ranked. Instead of having to go through a grueling best-of-three series when you hit 100 LP, why not just rank up? A player should still be at their deserved ranking. If they weren’t good enough, they just wouldn’t climb. They’d eventually hit a brick wall. But the brick wall wouldn’t be promos. It would feel deserved—and it would be a much easier pill to swallow. Riot has already proved it’s willing to experiment. Position ranking didn’t work out in the end, and as a result, the ladder was reset. It caused controversy, but it was a step in the right direction. It was at least an attempt at fixing the problem. There’s no reason why Riot can’t try an alternative method. It could always be reverted if the worst comes to the worst. If it doesn’t work, no permanent damage would be done. If a complete upheaval of the system is a step too far, a middle ground could be met. Instead of removing promos altogether, Riot could cut them from division to division. This would mean you’d still have to fight your way to advance to the next tier, but it wouldn’t be such a drawn-out slugfest. It would make promos feel more like an achievement than a chore—and it would act as motivation, rather than a barrier. Either way, it’s going to be difficult to please everyone. The current system works, but it’s far from perfect. 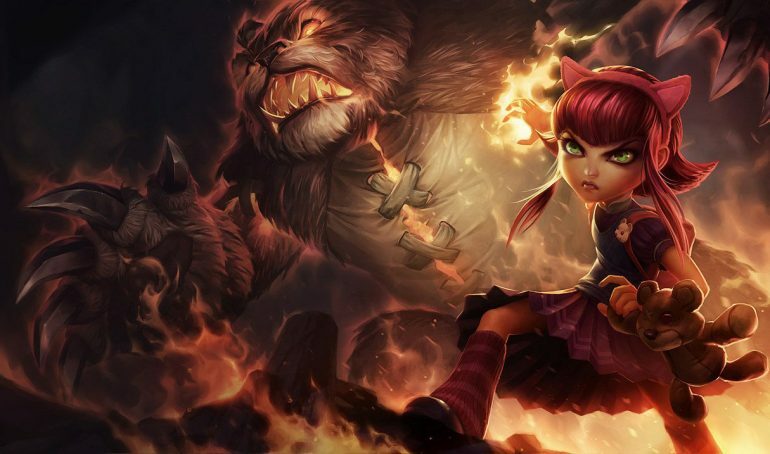 If League of Legends wants to keep growing, it needs to adapt. And a drastic change could be the way forward.